Many of us vent our life’s frustration by pushing ourselves to a physical limit. Tina, a mother of three, does the same in the film The Fight. Jessica Hynes (Spaced, The Royale Family, W1A) plays the character of Tina, who takes to the boxing ring to deal with her ever-increasing stress levels from dealing with a complex and hectic life as a wife, mother and daughter. This uplifting family film also stars Russell Brand and Anita Dobson. Jessica Hynes debuts as a director for the film, which is set in her hometown of Folkstone and will be taking part in a Q&A session at our iconic picture house on Friday 29 March at 8.30pm. Tickets are still available. It feels like a very personal film, well acted by the A-list cast that Hynes has assembled: a cathartic meditation on the need to heal, the need to confront those who do wrong and to confront yourself when you’ve done wrong. Blackkklansman is already been called one of the most important films of the year and should provide plenty to talk about so The Picture House is excited to welcome representatives of the Leeds Black Film Club and the Racial Justice Network to participate in a post film discussion after our screening of BlacKkKlansman on Sunday 2nd September. The discussion will be not be limited to the panel and audience members are invited to share thoughts/questions and ideas about topics raised in the film including the relevance of Lee’s 1970s set American drama to contemporary British culture. If you see the film and want to talk about it before the panel, why not leave a comment below. Or even better why not send us a review and become a contributor to this blog. The Picture House: Auditorium lights on low during the film, film subtitled. Dog blankets and (shh!) treats provided. The audience: diverse and generally well behaved. A few barks here and there but, as I remarked to Jack (Russell), at least I didn’t see any dogs checking for messages on their phones while the film was running. Certainly popular. Both dog-friendly screenings have been sold out. The film: The Isle of Dogs was a great choice. Beautiful stop-motion animation and a simple story. Despite it being set in Japan I didn’t notice any Hokkaidos or Kai Kens in the audience. This screening was a credit to everyone, canine and human: director Wes Anderson and the excellent voice cast; with special mention for the staff and volunteers at the Hyde Park Picture House; and of course the support of Dogs Trust. We are promised more dog-friendly films at the Picture House. What next? Watership Down (1978), Fantastic Mr. Fox (2009), or the wonderful Kedi (2016) about the street cats of Istanbul? Tibbs, the cat who once took up residence in the Picture House foyer, must be turning in their grave. The Pavilion Presents Alia Syed. Monday April 16th, 6.30 p.m. until 8.00 p.m. This is an evening of films with the voice of the artist. Alia was born in Swansea and she enjoys both Welsh and Indian heritages. She works in film and on exhibitions and also teaches in Further Education. She now has three decades of film-making behind her. Alia will be there to talk about the themes and pre-occupations in her work. These include gender, colonialism, the diaspora and borders. 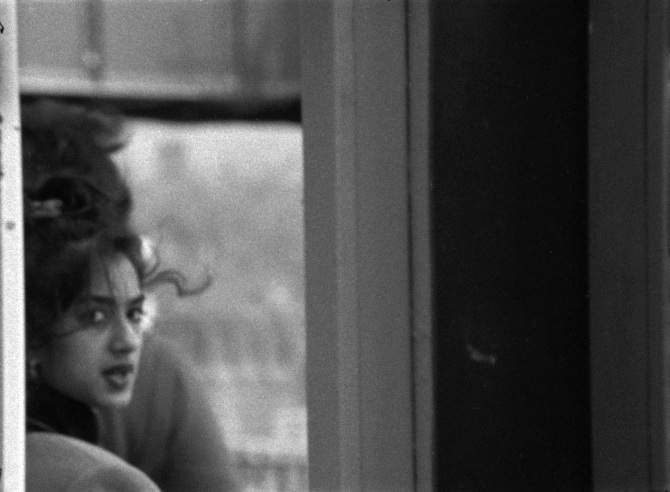 Alia works within the experimental film discourse. You can get a sense of her approach by looking at one of her films [Points of Departure] on BBC Arts Online. Pavilion events are always worth attending; the Hyde Park Picture House has hosted a number; and this promises to be rewarding. It will be at The Swarthmore Centre on this Monday evening. Swarthmore is quite accessible. From the Picture House walk up through the park, and down Cardigan Road to Woodhouse Square. After a busy month spent thinking about subterranean excavations and their ramifications we would like to refocus our thoughts on the bigger picture and as such I am pleased to invite you to a special update session on our Heritage Lottery Fund supported refurbishment project on Saturday 10th February. The session will include a presentation by the project’s lead architect, Eilidh Henderson of Page\Park. This presentation will explore the design development process undertaken by the team including understanding the way in which audience and stakeholder consultation has been fed into the process to date. Following Eilidh’s talk we will be open to questions and comments. Doors will open at 2.30pm with the presentation set to begin at 3pm and run for approximately 30 minutes followed by up to an hour for questions and comments. This session is open to everyone so do please feel free to forward details on to any friends/colleagues. In order to manage numbers I have set up an Eventbrite page which will allow you to reserve a space. Of course you are also welcome to turn up on the day and we will fit in as many people as possible, it’s hard to judge in advance what numbers we’re going to expect. 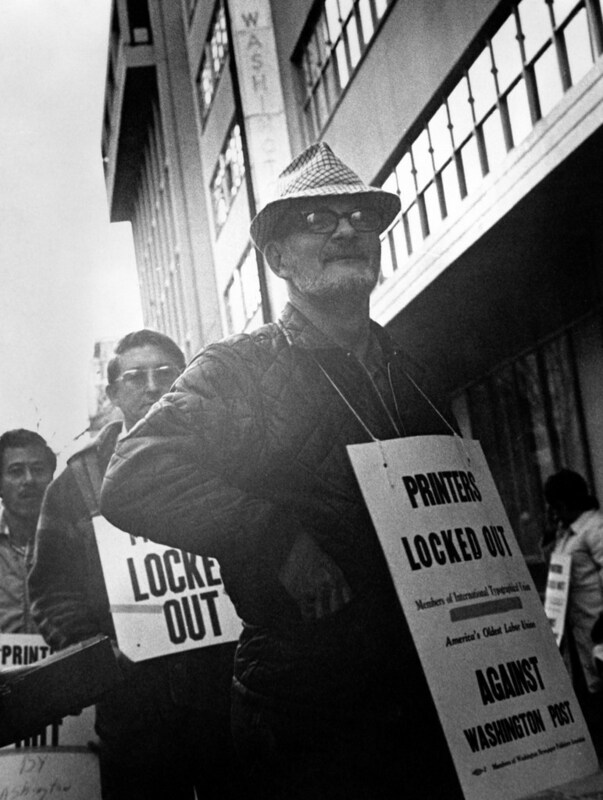 The Post in an honourable addition to Hollywood films (All The Presidents Men (1976), Good Night, and Good Luck (2005), Spotlight (2015)) which portray journalists and journalism in a positive way, as opposed to grubby hacks chasing squalid, sensational headlines . When I see films like these I wonder why UK film directors haven’t tackled such subjects. Couldn’t the dogged work of Guardian journalist, Nick Davies, as he probed and finally exposed the industrial scale of phone-hacking at Murdoch’s ‘News of the World’, be a suitable subject? 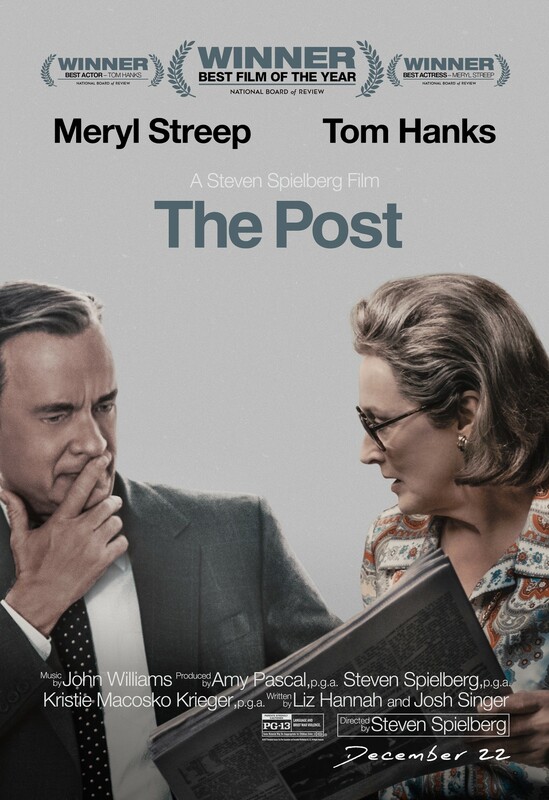 The credits for The Post say it is ‘based on a true story’ and whilst I can quibble with the way the film modifies some of the facts about the way the Washington Post’s publisher, Katharine Graham, finally came to back publication of the Pentagon Papers, I think the film captures perfectly how enmeshed she was in the Washington elite and the political and commercial pressures on her to take an easier route, and not publish the papers. I will talk more about this in the Q&A session following the 5.00pm showing of the film on Sunday 28 January at the Hyde Park Picture House. Here I just want to develop a couple of points about two aspects of the film. One is the way that Spielberg focuses on the old hot metal printing press scenes and the workings of the Linotype machines assembling the lines of type for the stories. It’s very evocative. The other point is on the role of Ben Bagdikian in the film – he’s the journalist who gets access to Daniel Ellsberg and persuades him to hand over 4000 pages for the Post to use. He was national editor on the Post, a man who the editor, Ben Bradlee, in his autobiography, ‘A Good Life’, describes as ‘thorny’. Bagdikian had a big influence on me, and others interested in media reform. He wrote a key book ‘The Media Monopoly’ (1983) which warned about the chilling effects of corporate ownership and mass advertising on US media. Fifty corporations owned most of the US media when he wrote the first edition. By the time he wrote ‘The New Media Monopoly’ (2004) it had dwindled to five. NB A couple of friends who have already seen the film thought it helps if one is clear about ‘The Pentagon Papers’. You can check this out on Wikipedia. Our annual Christmas screening this year is the Coen Brothers’ Fargo. Jerry Lundegaard is a car salesman in Minneapolis who has landed himself deep into debt. Desperate for money, he hires two inept crooks to kidnap his own wife in the hope that her wealthy father will pay the ransom. But when Jerry’s plan goes horribly wrong, Marge Gunderson – a pregnant but persistent police chief in rural Minnesota – is brought in to try and unravel the deadly scheme. Members are invited to join us any time from 7:15pm for sherry, mince pies and a chance to look at plans for the HLF scheme. The film won’t begin until after 8:30 though so arrive whenever suits you. We anticipate this will be a well attended screening so if you would definitely like to see the film can you please RSVP to Wendy before 10th December. Saturday September 16th at 3.30 p.m. This was one of several films commissioned in order to celebrate the 10th anniversary of The Great October Revolution. The most famous of these is Sergei Eisenstein’s October Ten Days that Shook the World (1928). Both films include sequences showing the storming of the Winter Place: in fact the filming of these sequences found the two productions ‘stepping on each others’ heels’. However, Vsevolod Pudovkin, the director, has a different approach to drama and to ‘montage’ from Eisenstein. There are parallels between this film and his earlier adaptation of a Maxim Gorky’s novel, Mother / Mat (1926). This film follows the experiences of a young rural worker who migrates to St Petersburg in search of employment. We follow him in a linear fashion as he experiences the exploitation of the proletariat in Tsarist Russia and he becomes politicised. 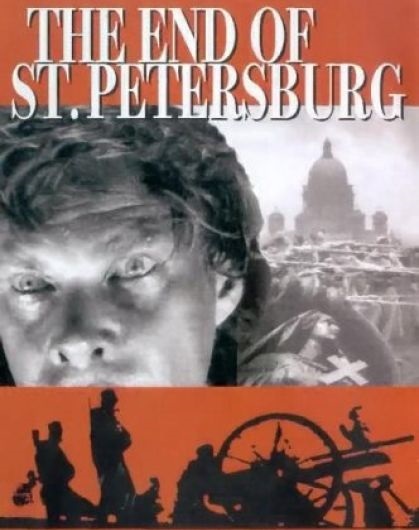 The film includes very fine sequences showing the advent of war, the experiences of the Russian army and then the series of conflicts that led to the overthrow, first of the Tsarist regime, and then of its bourgeois successor. Pudovkin, together with his script writer Nathan Zarkhi and the cinematographer Anatoli Golovnya, present the city, the social movements and its representative characters with a strong sense of the world they live in and of the historic events in which they were involved. Whilst Eisenstein’s film ends with the Vladimir Lenin announcing the start of Socialist Construction Pudovkin’s film ends on a quieter note, expressive of the victory but also of the cost it has levied. The film is screening in a 35mm black and white print. It should have English sub-titles for the Russian title cards and lasts about 85 minutes. 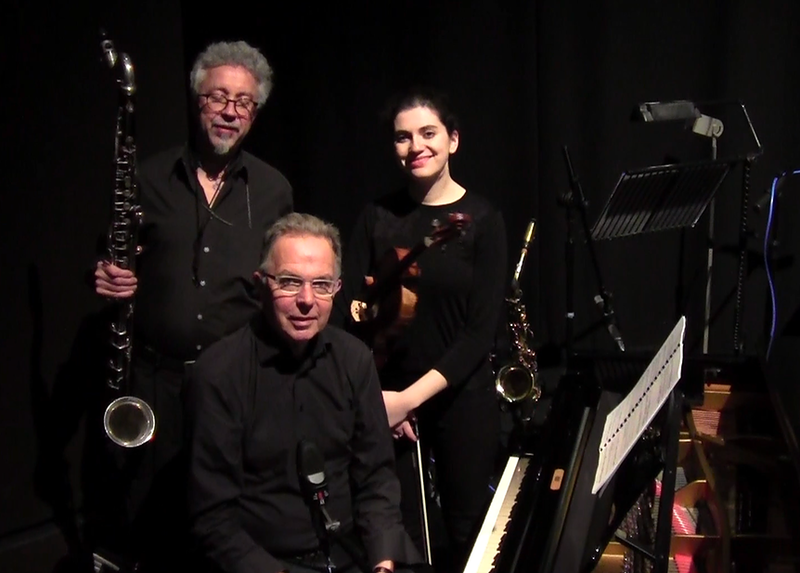 This screening enjoys a specially composed musical score by the Harmonie Band who specialise in Silent Film accompaniments. This is fine film and a signal celebration as we approach the anniversary of the most important event of the C20th. Hopefully we can look forward to other significant dramas and records of 1917. This Sunday, September 10th, film fans have a chance to explore the Hyde Park Picture House as part of a Heritage Open Day. Between 1000 and 1500 they can enjoy the beauty of the cinema auditorium, one of the finest surviving examples in Britain, with its distinctive gas lighting. There will also be conducted tours of the Projection Room every half-an-hour: including the 35mm projectors, fine specimens of a species that is in danger of extinction. These tours will be a little like the recently screened German silent film, Berlin: Die Sinfonie der Grosstadt (1927: just as the Berlin of 1927 is no longer, the Picture House will soon be remodelled thanks to a Heritage Lottery Fund Award. Appropriately there will also be a screening of 35mm films. There will all be the work of the ‘Poet of British Cinema’, Humphrey Jennings. His films are beautifully crafted and imaginative portraits of Britain in the 1930s and 1940s. There will be Spare Time (1939, 13 minutes) a film that reflected the work of Mass Observation, a pioneering sociological research movement of the period. The film visits several regions in 1930s Britain to examine the culture of ordinary working people. The commentary is by Laurie Lee, another poet. I especially enjoy the sequence with the Welsh choir. Then the wartime film Words for Battle (1941, 8 minutes): documentary footage of Britain during the Blitz is accompanied by a selection of poetry and prose read by Lawrence Olivier. The Silent Village (1943, 36 minutes) is a retelling of the massacre by the Nazi occupiers of the villagers of Lidice in 1942. This was notorious event early in the war. The film relocates the story to Wales to increase the immediacy of the barbarity. 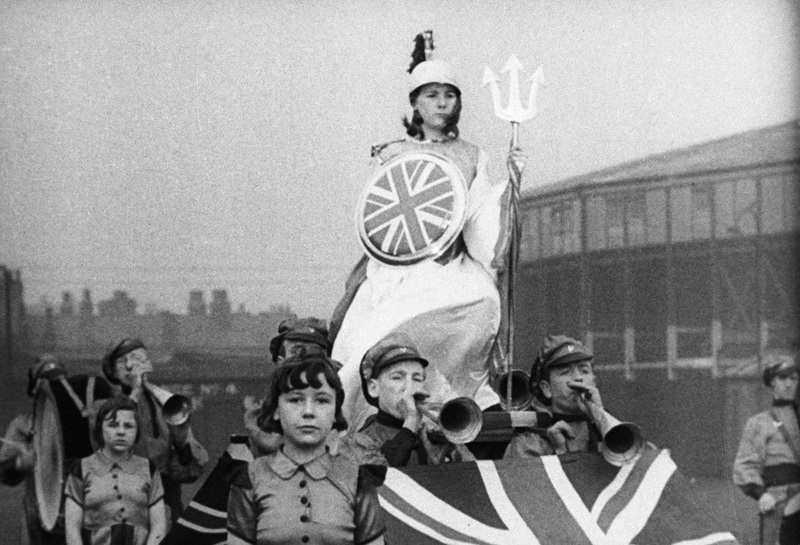 And finally Listen to Britain (1942, 20 minutes) is one of the true masterpieces of British cinema. Jennings weaves a tapestry of documentary footage, dialogue, sound and music to present the Home Front of a Britain at War. All these films are in black and white. Note that the last three all enjoy the editing of Stewart McAllister, not always credited but a key colleague in Jennings’s film work. Also important are the regular cameraman H. E. Fowle and the sound engineer Ken Cameron. All contributors to these heritage classics. For a long time customers have asked about hosting screenings of National Theatre and other live theatre performances at the Picture House. Unfortunately due to some planning restrictions it’s just not possible for us to get these in our programme however our beautiful sister venue, the City Varieties Music Hall, will be playing them from this week onwards. 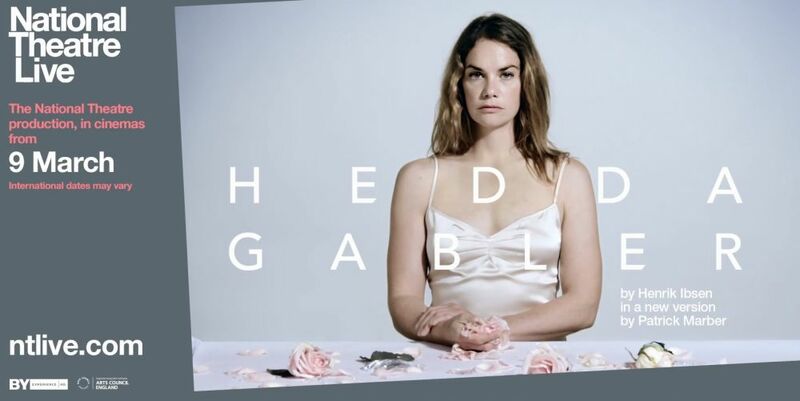 The launch event for this exciting new strand of their programme will be this Thursday 9th March with Hedda Gabler by Henrik Ibsen starring the wonderful Ruth Wilson. We’ve arranged for a discount for our Friends so if you would like to attend show your membership card and you’ll receive a discount as the Friends of the City Varieties would of £15.50 for a ticket instead of £17.